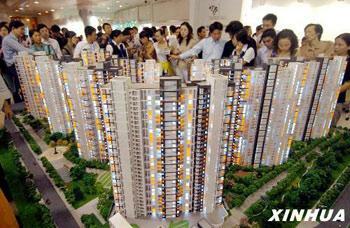 Property prices in major Chinese cities fell nearly 1 percent in April from a year earlier. That's the word from the National Development and Reform Commission. But the drop shrank two-tenths of a percentage point compared with March. in April from a year earlier. On a monthly basis, prices were up 0.4 percent in April, compared with a monthly rise of 0.2 percent in March. Meanwhile, prices of newly built residential properties fell over 1.5 percent from a year earlier, but were up 0.3 percent from March. Real estate investment rose nearly 5 percent in the first 4 months of 2009 from the same period last year. The pace was above the 4 percent year on year increase in the first quarter. So some analysts think this means that investment in April alone was even stronger, a sign that the sector is gradually recovering.